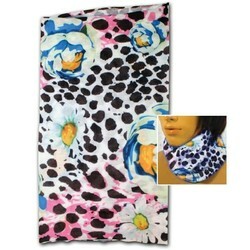 Our full-color, bright prints on this buff / bandana will draw the attention of everyone around! Wear it as a mask, scarf, bandana or headband and more! 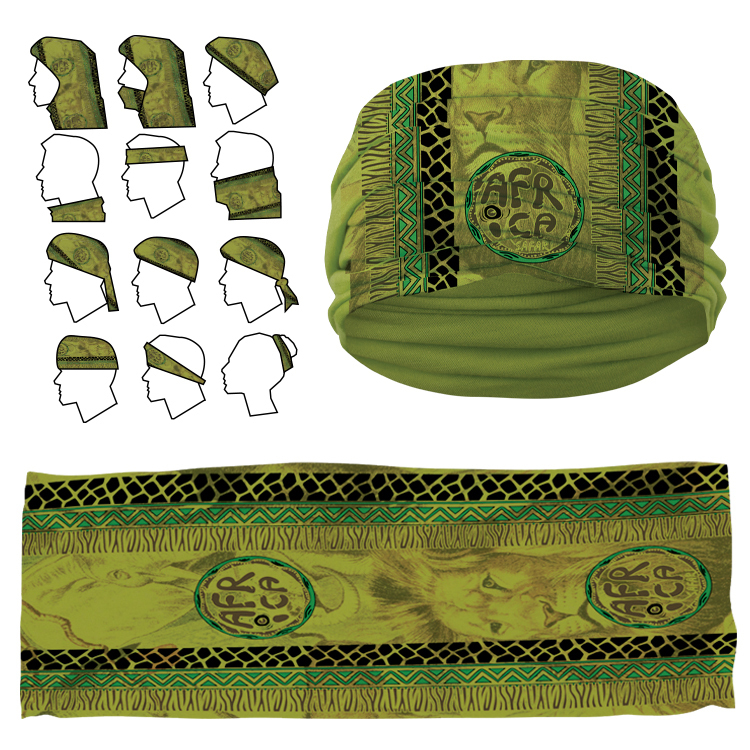 This Buff / Bandana / scarf is Made from a soft, lightweight polyester. It feels great to wear. our Buff / Bandana / Scarf is perfect for outdoor + fitness promotions and charities! This really is the most useful and versatile head / neckwear in the industry! Made from a lightweight polyester, this buff / bandana can fit any wardrobe or function. Our full-color, bright prints, will draw the attention of everyone around. We can print any design you would like on this buff. We recommend a full sublimation step and repeat type art due to the varied use of the product. This item is perfect for outdoor + fitness promotions as well as races and charity walks! Price includes full color sublimation imprint on front, add set-up charge $60.00 (v).